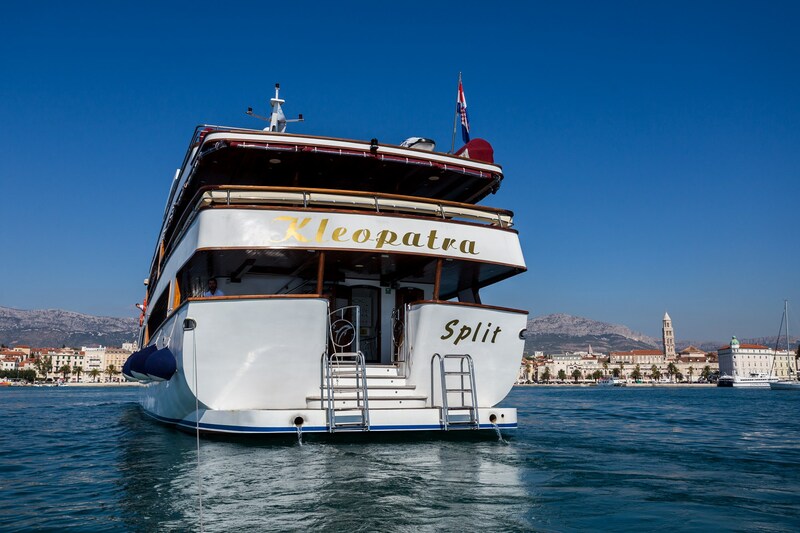 You will be transferred from Split’s airport or your Split hotel to harbor, where embarkation begins at noon. 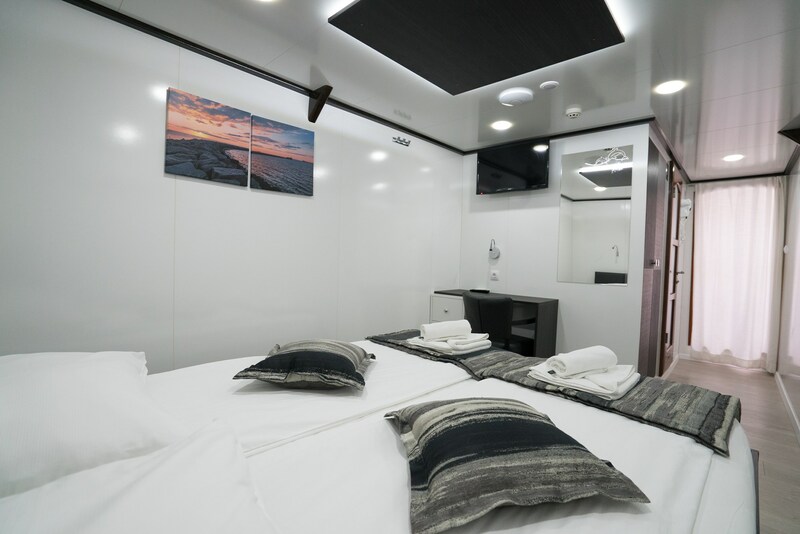 Get settled in your cabin before attending a Welcome Reception this evening. Stop in Bol, a small town on Island Brac, for a swim at the Golden Horn. 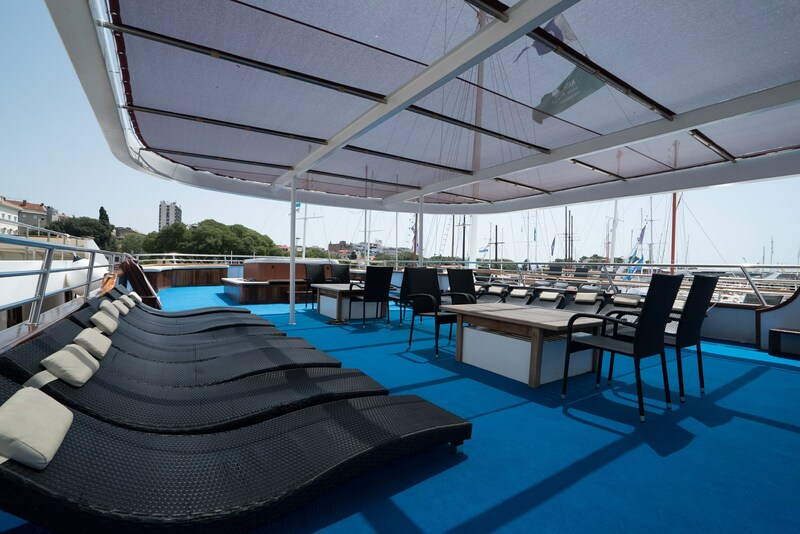 Enjoy the 1740-foot-long golden pebble beach said to be the best in Croatia. It is unique in that it changes shape and position depending on the winds. Return to your boat for lunch, then head to Hvar. Hvar is one of the most popular islands in the Adriatic and a meeting point for the international jet set. The “Croatian Madeira” is also one of the longest islands stretching along the shores of Croatia. A sightseeing tour of Hvar town shows you the first public theatre in Europe (older than Shakespeare’s theatre in the UK) and many more historical sites. Your evening is free to explore Hvar on your own. After breakfast set sail for Korcula, with swimming stop in one of pristine bays and lunch onboard. 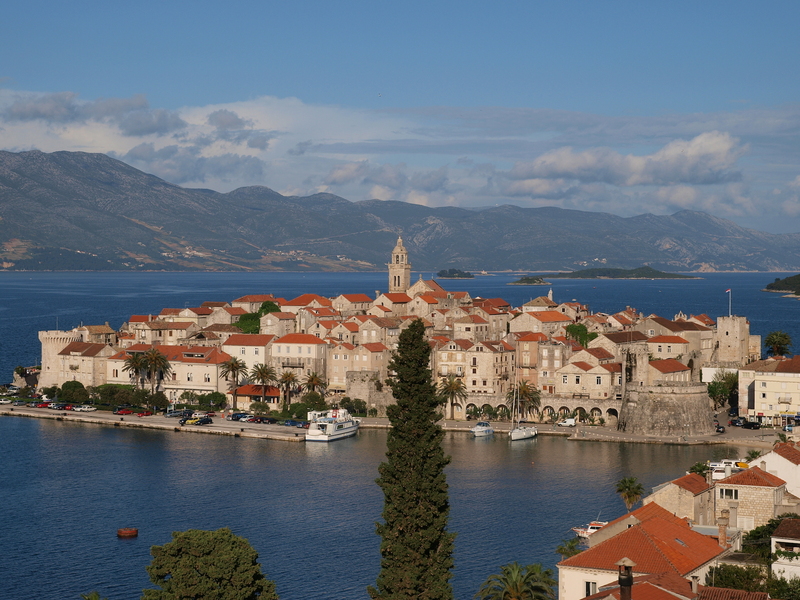 Early afternoon arrival to Korcula, thought to be the birthplace of the famous explorer Marco Polo. Take a walking tour through its narrow, cobbled streets full of history. Your evening is free to discover the town and enjoy dinner on your own at one of the many restaurants. 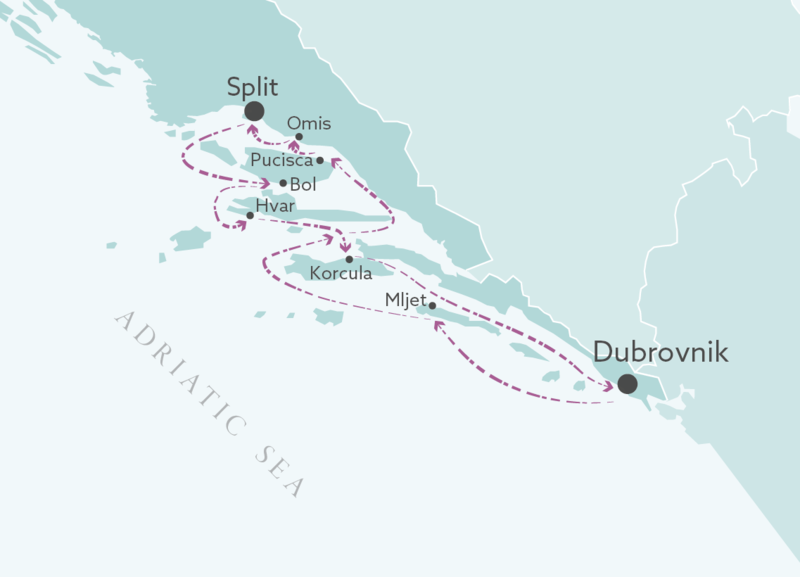 In the morning sail to Dubrovnik, so called “Pearl of the Adriatic”, a UNESCO World Heritage site. While in Dubrovnik, take a walking tour of the old town. Remainder of the day is free; perhaps discover this lovely city on own. Today we turn our compass back north, with plenty of time for morning swim along the sail. As you dine, set sail for Mljet Island. Mljet National Park encompasses five types of forest, many species of birds, and two deep lakes, Veliko Jezero (Big Lake) and Malo Jezero (Small Lake). This lovely island was supposedly a favorite holiday spot for the Greek hero Ulysses! Your evening is free in Mljet. Take a break for a swim during your morning cruise. Continue sailing through lunch, arriving this afternoon in Pucišca, a beautiful little town on island of Brac. Tonight, enjoy captain’s dinner onboard. We depart for Omiš after breakfast, it’s fortresses are silent stone reminders of the power and might of the infamous pirates who once made their homes and fortunes here. You will have a possibility to book a short walking tour, followed by boarding a small boat and sail into Cetina River Canyon, a protected nature area, continuing to Radman Mills for a local specialty snack. 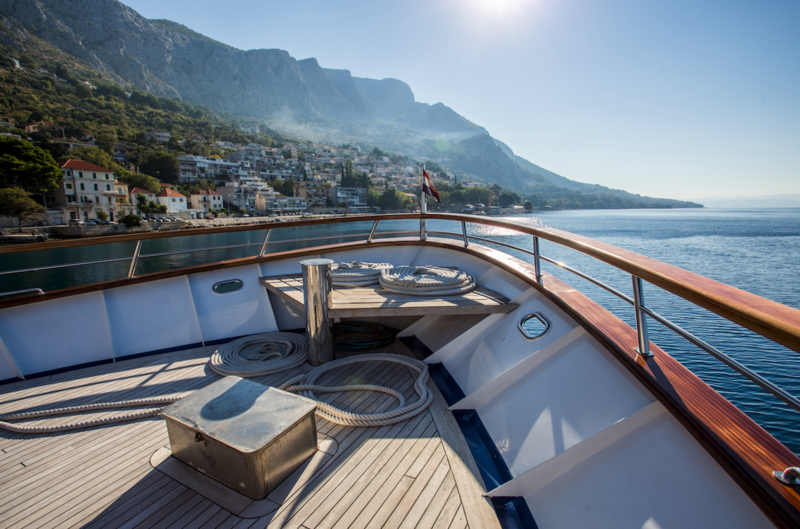 After visiting Omiš set sail to Split with a stop along the way to swim, cool off and relax, if weather permits, with lunch onboard. In the late afternoon we arrive at Split to take a guided tour of the historical center of city which is listed as a UNESCO World Heritage site. Your evening is free in Split. After breakfast it’s time to disembark. You will be transferred to the airport or your Split hotel.